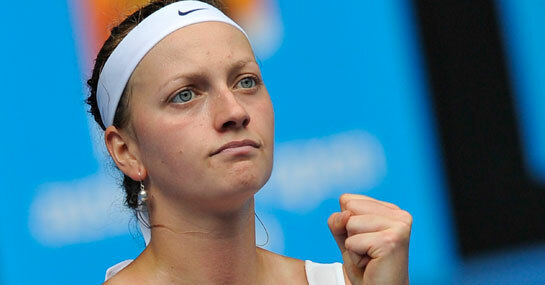 Petra Kvitova is making waves in Melbourne and the world number 28 is the dark horse in the Australian Open betting. Before the tournament started we were raving about Vera Zvonareva’s chances at the Australian Open and the number two seed is 6/1 from 12/1 to win the Australian Open and 1/2 to beat Kvitova in tonight’s quarter-final. But Kvitova is unbeaten in 2011 and has dropped just one set on her way to the quarter-final, which included the scalps of fifth seed Sam Stosur and 22nd seed Flavia Pennetta, and the Czech is a huge price at 6/4 to progress to the semi-final. Kvitova was a semi-finalist at last year’s Wimbledon and beat Zvonareva on clay in Rome last year, and after battling back from a set down against Pennetta, the Czech has proven her mentality and is a huge price at 10/3 to win 2-0. It seems highly unlikely that Radwanska will be able to upset the third seed and 5/4 favourite for the Australian Open tonight, and Clijsters should confirm her place in the Australian Open semi-finals alongside Kvitova. Radwanska is yet to face a seed in this year’s competition and the in-form Clijsters should prove a lot trickier to beat than any of her previous opponents and Clijsters is a solid bet at 2/5 to win in straight sets. Radwanksa offers a little more value in the handicap betting at 11/10 to win +5.5 games, but based on their only previous meeting in which Clijsters won 6-2, 6-2, the 4/5 for under 18.5 games looks the better bet. Caroline Wozniacki and Na Li confirmed their spots in the semi-final in last night’s matches and as a result, have seen their Australian Open winner odds trimmed into 4/1 and 3/1 respectively. A £25 double on Kvitova and Clijsters winning in straight sets would return £151.50. New customers can sign up here for a free bet worth £25.